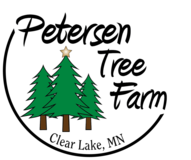 Looking for a Fresh Pre-Cut Tree? Our fresh-cut trees are grown and harvested at our farm and are individually priced based on type and size of tree. Fresh-cut trees are located inside the building as well as outside in the front yard. We have an excellent selection of many beautiful 8-9' Fraser Fir inside the building and also Balsam and Fraser Fir outside in the yard that are too tall to fit in the building! Shorter trees are also available and a limited supply of unsheared Balsam. 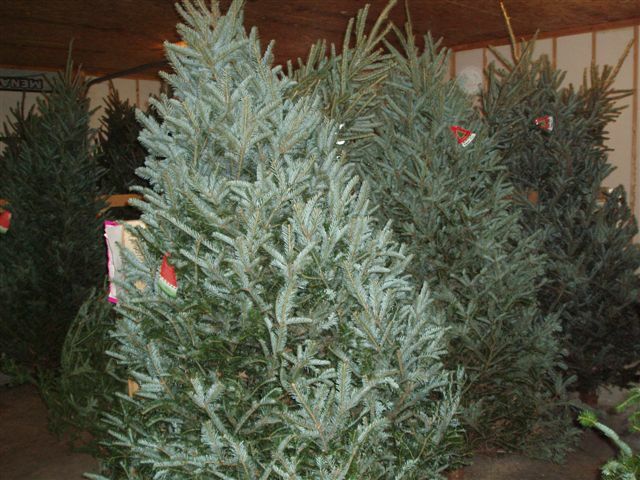 Blue Spruce, White Pine, and some Scotch Pine are also available in various sizes. As with all our trees, we will shake and bale your pre-cut tree free of charge (weather/size permitting).